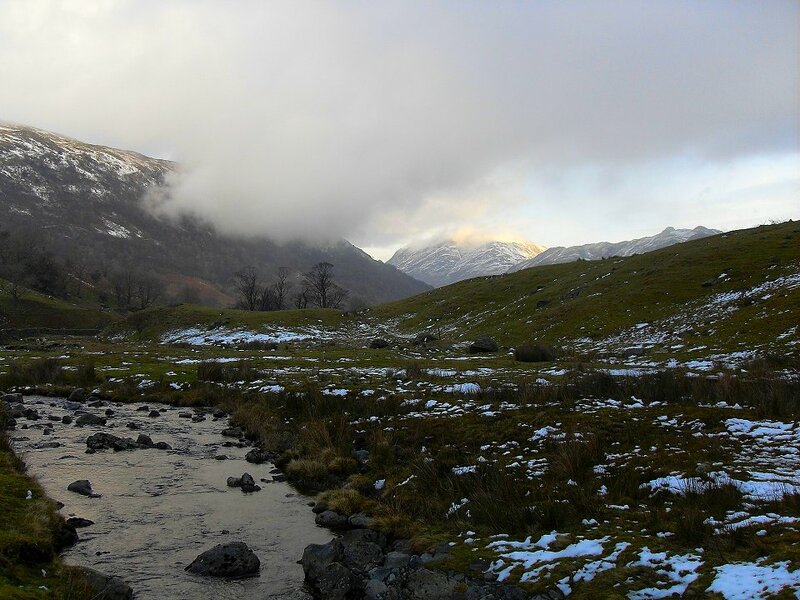 Kirkstone beck. 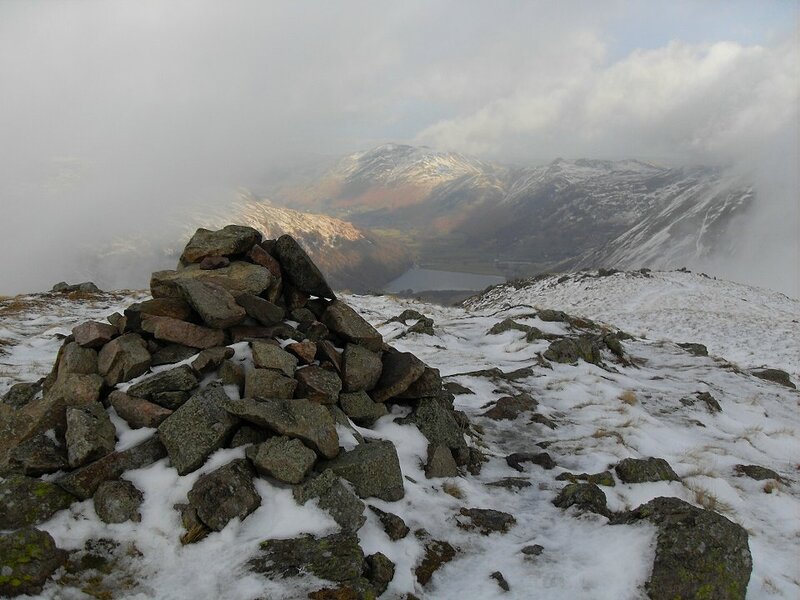 Place fell looks like its getting some sun. 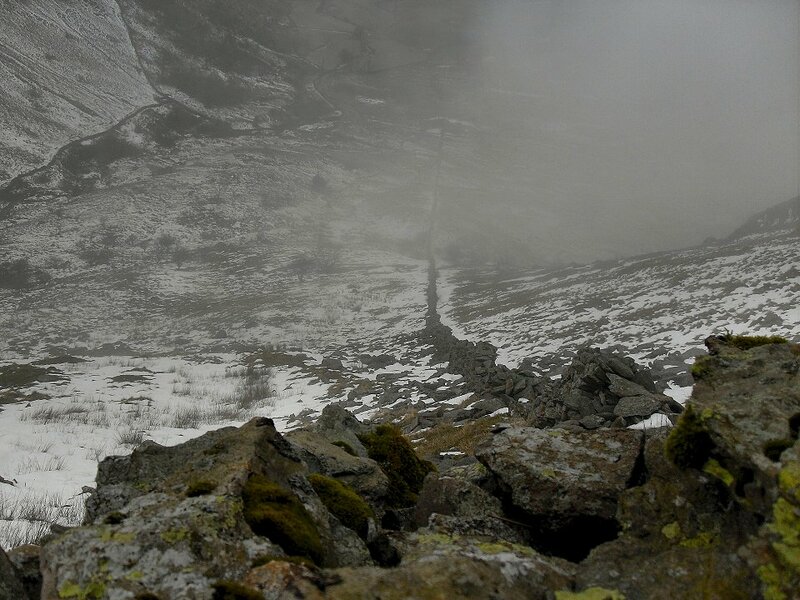 Following the wall up the very steep front of Middle Dodd. You really do have to be in awe of the men who built these walls. 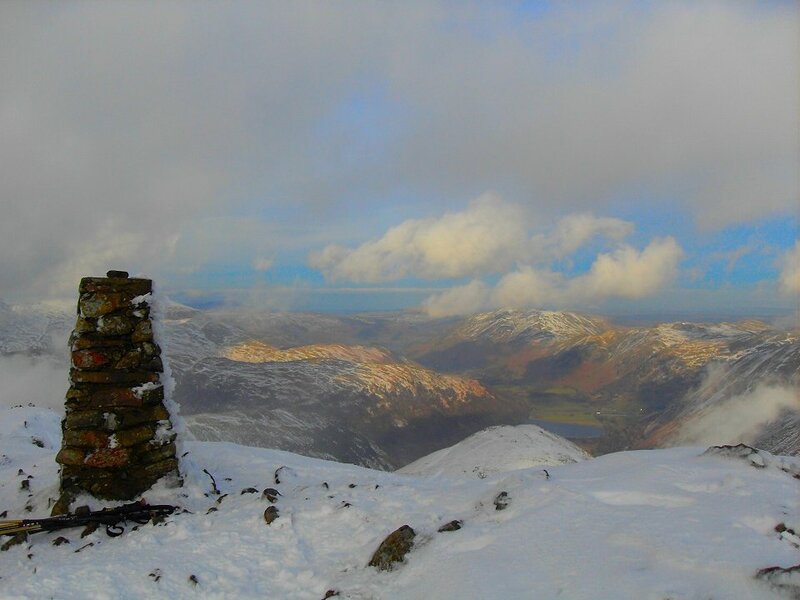 View from Middle Dodd's summit cairn. 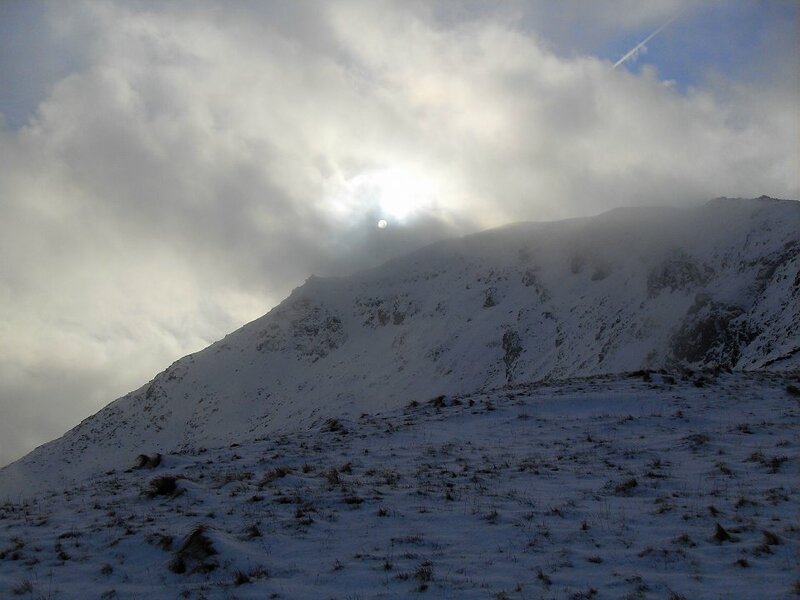 Looking up to Red Screes. It was trying hard to be a nice day. 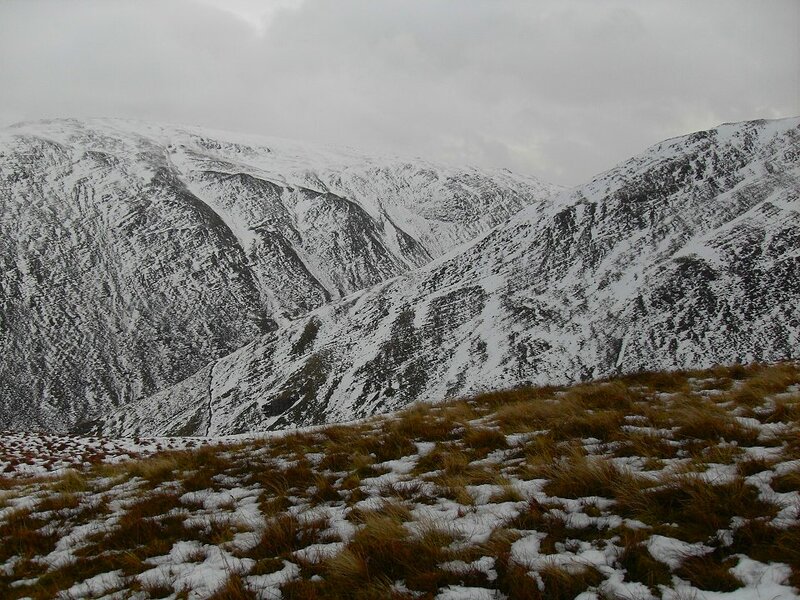 Really wild conditions on the top of Red Screes. 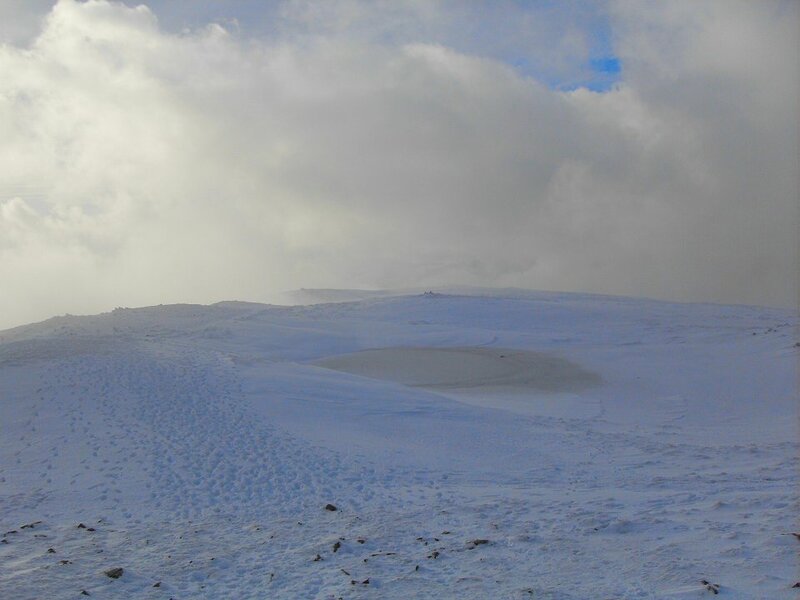 I felt like Scott of the Antarctic battling my way to the cairn. 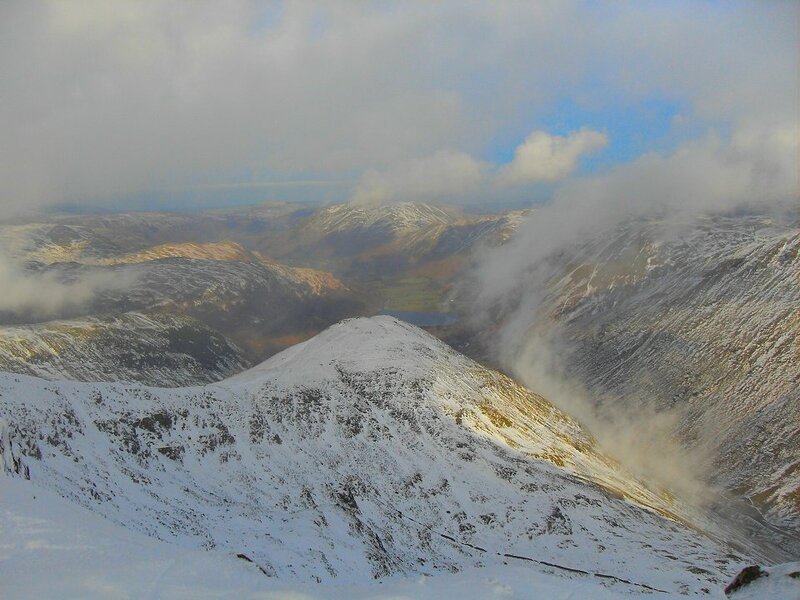 Looks like quite a few have been up and down from the Kirkstone side. The weather to the north looked a bit better. Looking across to Middle Dodd with Caudale Moor behind. 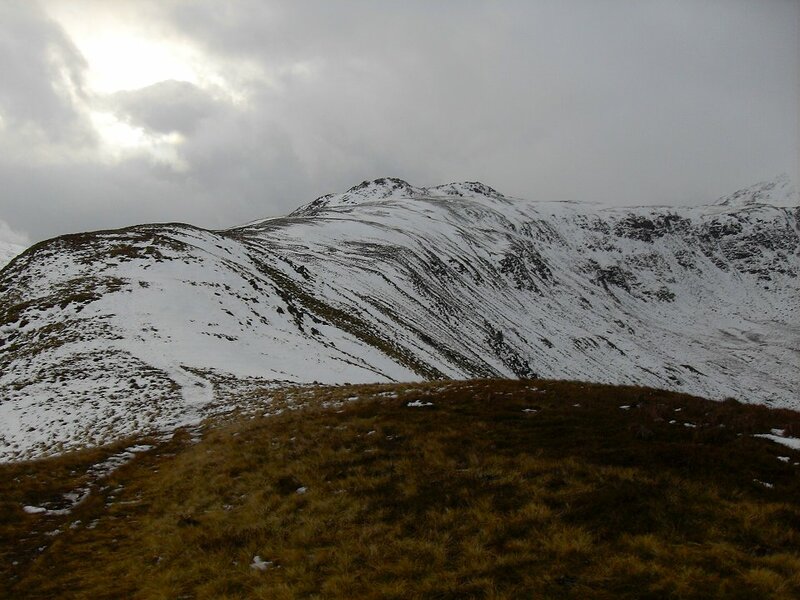 Looking back to Little Hart crag. 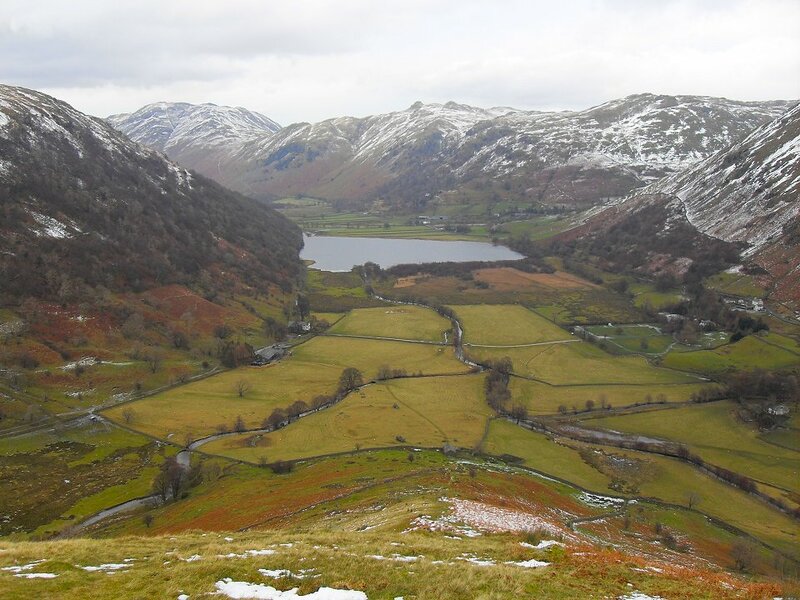 The twin tops of Angletarn pikes above Brothers Water From the descent of High Hartsop Dodd.